Seagrass meadows are found along soft-bottomed, shallow, marine coastlines of every continent except Antartica. Their abundance and the important roles they play earn them the title of third most valuable ecosystem on the planet after estuaries and wetlands. These extensive meadows are made up of a group of flowering plants that are unique in their ability to thrive submerged in salty seawater. Tossed about by the tides, they feed and harbor an incredibly diverse world of marine life and help protect neighboring ecosystems by stabilizing sediments and mitigating pollution. 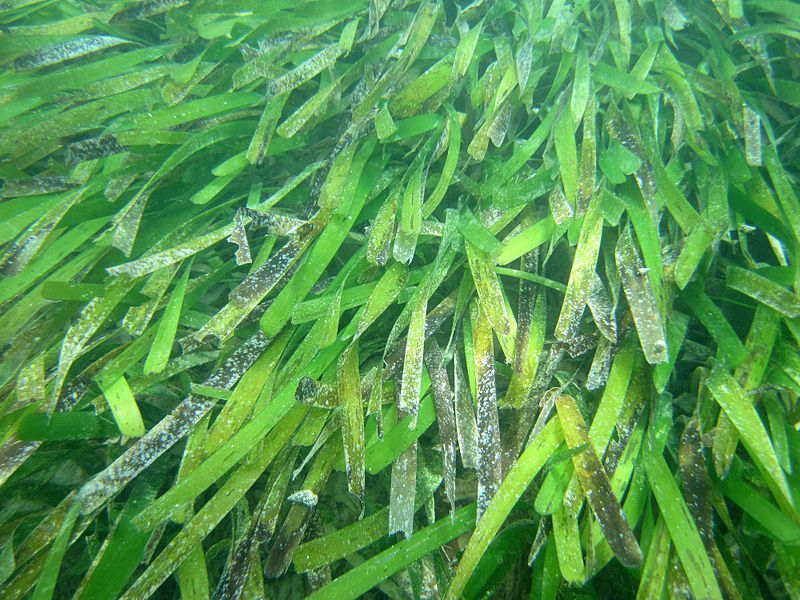 Seagrasses are often confused with seaweed, but they are very different organisms. Seaweed is algae. Seagrasses are plants that at one point in their evolutionary history lived on land but then retreated back into the waters of their ancient ancestors. 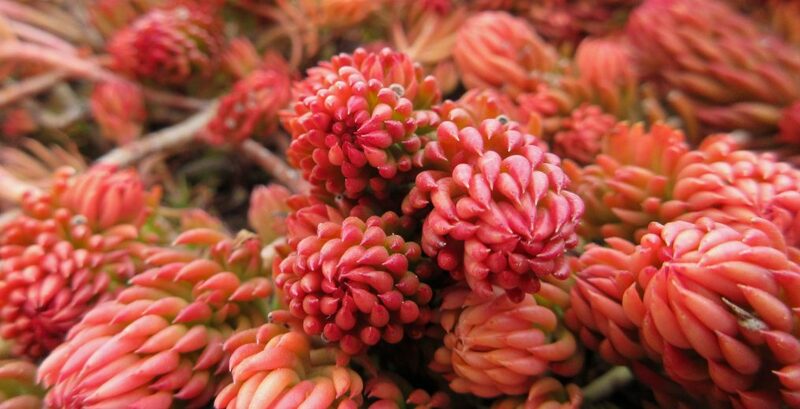 They are rooted in the sediment of the sea floor and, depending on the species, can reproduce both sexually (submerged flowers are pollinated with the help of moving water) and/or asexually (via rhizomes). Although many of them have a grass-like appearance, none of them are in the grass family (Poaceae); instead, the approximately 72 different species belong to one of four families (Posidoniaceae, Zosteraceae, Hydrocharitaceae, or Cymodoceaceae). Seagrass meadows can be composed of a single seagrass species or multiple species, with some meadows consisting of a dozen species or more. 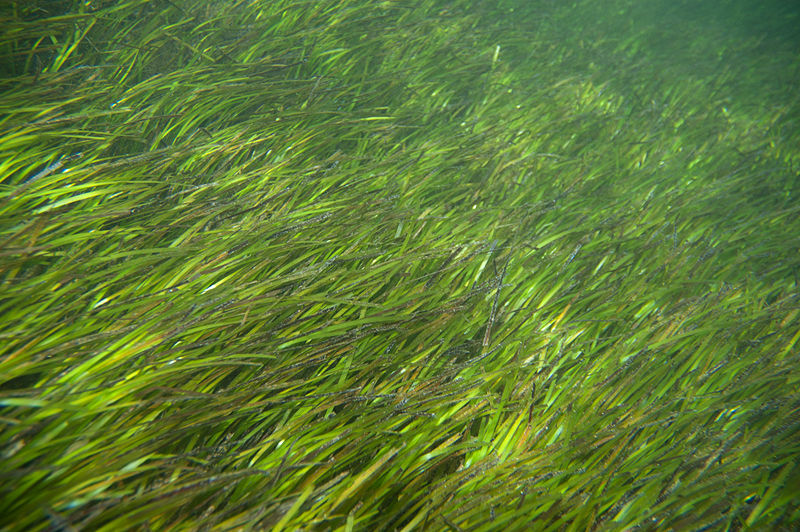 Seagrasses depend on light for photosynthesis, so they generally occur in shallow areas. How far seagrass meadows extend out into the ocean depends on light availability and the shade tolerance of the seagrass species. Their presence at the shoreline is limited naturally by how exposed they become at low tide, the frequency and strength of waves and associated turbidity, and low salinity from incoming fresh water. 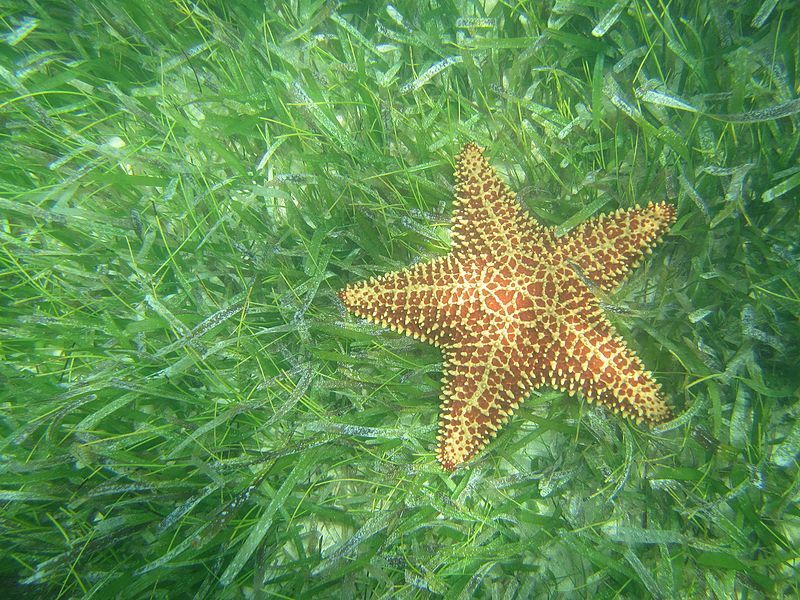 Seagrass meadows benefit life on earth in many ways. As ecosystem engineers they create habitat and produce food for countless species, sequester a remarkable amount of carbon, and help maintain the health of neighboring estuaries, mangroves, coral reefs, and other ecosystems. They are home to commercial fisheries, which provide food for billions of people. Like many ecosystems on the planet, they are threatened by human activity. Pollution, development, recreation, and climate change jeopardize the health and existence of seagrass meadows. Thus, it is imperative that we learn as much as we can about them so that we are better equipped to protect them. In a report published in a February 2017 issue of Science, researchers examined the ability of seagrass meadows in Indonesia to remove microbial pathogens deposited into the sea via wastewater. When levels of the bacterial pathogen Enterococcus were compared between seagrass meadows and control sites, a three-fold difference was detected, with the seagrass meadows harboring the lowest levels. When other potential disease-causing bacteria were considered, the researchers found that “the relative abundance of bacterial pathogens in seawater” was 50% lower in both the intertidal flat and the coral reefs found within and adjacent to the seagrass meadows compared to control sites. This has implications for the health of both humans and coral reefs, the latter of which face many threats including bacterial diseases. Two important coral reef diseases, white syndrome and black band disease, as well as signs of mortality associated with bleaching and sediment deposition “were significantly less on reefs adjacent to seagrass meadows compared to paired reefs,” according to the report. The researchers note that “seagrasses are valued for nutrient cycling, sediment stabilization, reducing the effects of carbon dioxide elevation, and providing nursery habitat for fisheries.” The results of this study demonstrate the potential for seagrass meadows to “significantly reduce bacterial loads,” benefiting “both humans and other organisms in the environment.” Yet another reason to care about and conserve this vital ecosystem. This entry was posted in Botany, Plant Ecology and tagged Botany, conservation, coral reefs, estuaries, marine biology, marine ecosystems, microbial pathogens, plant science research, pollution, Project Seagrass, seagrass, seagrass beds, seagrass meadows, Seagrass Watch. Bookmark the permalink. The second paragraph here was very helpful – it makes sense that seeweed isn’t grass, and seagrasses aren’t in the grass family. It’s interesting that they were once land plants, too. One I’m a little familiar with is eelgrass, because it’s an important food source for certain birds, like Brant.